Samsung’s Galaxy Note 6 has been getting all the love and attention of the rumor mill, which has tried to reveal details of almost every aspect of the upcoming phablet. It’s not those delicious hardware scoops we are talking about today, but the software side of the game. According to a leaked user agent profile of Galaxy Note 6, the next-gen Note won’t be powered by Android N unlike what we had come to expect. We have seen several rumors claiming that Samsung Galaxy Note 6 will be one of the first few devices that will bring Android N out of the box. Android N is Google’s upcoming mobile operating system that is currently in the beta testing phase. We have already seen a few Developer Previews and a public beta release showing several new features and enhancements of the OS. While developers and Android enthusiasts are testing the upcoming Android N on their Nexus devices, users are more interested in seeing the final version of the mobile OS, powering the upcoming flagship smartphones. Google and its OEMs are notorious for delayed software updates, when even the very latest flagships don’t get the taste of the new OS until at least a month after the public release. It is not surprising then that users want the upcoming smartphones coming with Android N pre-installed. 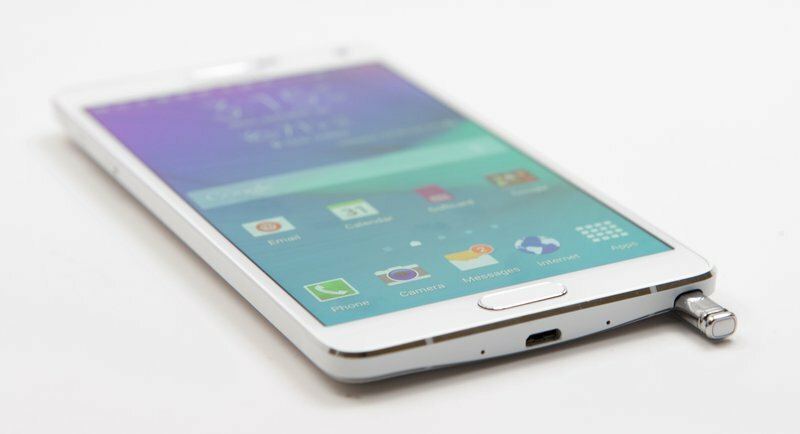 A number of rumors had suggested that Samsung would release Note 6 with Android N straight out of the box. However, it may not be happening considering the fact that Note 6 has a launch date expected in August and Android N isn’t expected for a public release until September – although there are rumors aiming for a July release. 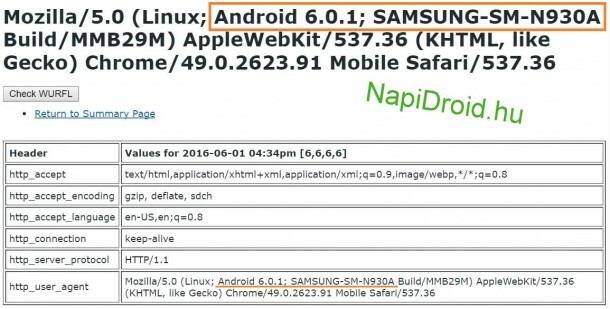 While there is no official confirmation on when to expect Android N, looking at Google’s proactive strategy to show off Android N this year as it launched the beta testing program 2 months ahead of the usual timeline, it wouldn’t be surprising to see Galaxy Note 6 launching with Android N.
A leaked user agent profile of the Samsung Galaxy Note 6 model SM-N930A rebukes these expectations and confirms that the device won’t be running Android N. The profile shows the upcoming smartphone running Android 6.0.1 Marshmallow. As folks at Sammobile have said if Samsung was planning to release Note 6 with Android N, the company “would be testing the device with Android N developer builds,” however, this leaked profile suggests otherwise. Expected to be launched in the first week of August, Samsung Galaxy Note 6 is possibly going to come with Android 6.0.1 Marshmallow pre-installed. The device will receive the official Android N update once the new OS is released by Google for public, if today’s leak is to be believed. But, do remember that the leaks had pointed to a July release of Android N, which makes us hope that we would be able to experience the beauty of Note 6 (or is it Note 7?) with the power of Android N. Fingers crossed.